TRAILER 2AXLE AIR SUSPENSIONS IN PERFECT GENERAL CONDITIONS. RENFORCED FLATBED LENGHT 8.2 MTS.,AXLES VIBERTI. RIMORCHIO 2 ASSI PNEUMATICO IN PERFETTE CONDIZIONI GENERALI. LUNGHEZZA CASSONE 8.2 METRI, FONDO AD OMEGA RINFORZATO, ASSALI VIBERTI. TRAILER 2AXLE AIR SUSPENSIONS IN PERFECT GENERAL CONDITIONS. 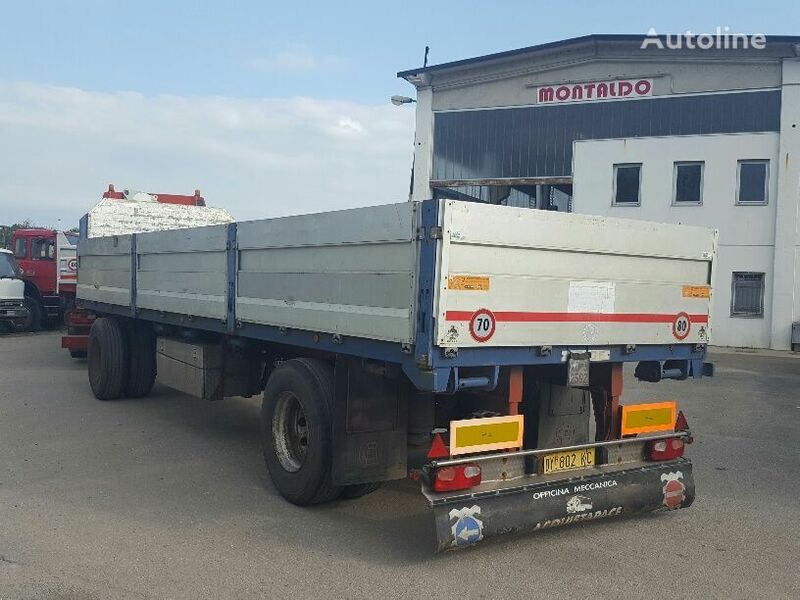 RENFORCED FLATBED LENGHT 8.2 MTS., AXLES VIBERTI.